The Marketing and Communications Assistant will be responsible for promoting the Boucher brand through various social media channels and creating content for newsletters. Healthworks Nutrition Centre is growing and has a new position for the right Naturopathic Doctor. Individual must be mature, motivated to grow their skills, build their clientele and is seeking long-term stability with a team of dedicated professionals. Room rental or percentage available. Senior Naturopathic Doctor seeking ND(s) to carry on the 30+ year legacy of successful and rewarding Naturopathic Medical practice on the North Shore. Well established in the Delbrook Community with an excellent referral base from patients, pharmacies and health food stores. Well-established practice, of over 20 years, for sale in Kitsilano neighbourhood of Vancouver. Looking for an amazing Naturopathic Doctor to share our space in uptown New Westminster. 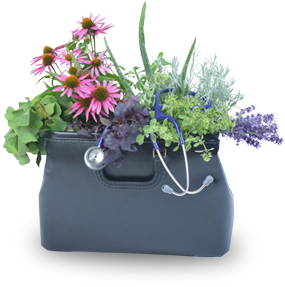 Revived Wellness expresses interest in working with a Naturopathic Doctor. Revived Wellness is a Natural Health Store in Mount Pearl, Newfoundland and Labrador, Canada. Our focus is Women’s Health, however we cover a variety of hormonal, gut, stress, HPA Axis Dysfunction issues. All of our staff members have training in health care (pharmacists and pharmacy assistants) and we often have clients referred to us by other Healthcare Professionals in the area. We are looking to work with a Naturopathic Doctor who would like to see clients in our store. If you have any students interested, or are able to forward our message to practicing Naturopathic Doctors, we look forward to discussing further details with them! 30 year established chiropractic office in Darien, CT for sublet on days the doctor is not in. Availability is Tuesday morning until 2 pm, Thursday all day, Friday afternoon from 1 pm on, Saturday afternoon from 12 noon on and all day Sunday. The office is located across from Trader Jo’s on the busiest intersection in Darien. Please call 203-656-2044. Integrative Health and Wellness Jobs is great resource for naturopathic medical students, alumni and employers to find and post employment opportunities across a range of health and wellness-related professions. We Are Looking To Grow The Team At Restore! Looking for and offering any New Grads, whom would like to join my practice, with the opportunity to take over in the future. We are located in NE Alberta (Vermilion). Our practice provides services for all ages and diverse needs. If rural living is appealing to you, give us a call. Private, multi-disciplinary health & wellness aesthetic clinic in Calgary / Alberta is looking for confident, self-motivated Naturopathic Doctor to join our collaborative team of healthcare professionals. Alder Family Medicine currently has openings for two practitioners for Independent Contractor positions. We are seeking an ND or ND,LAc to join us. We are a busy clinic with high volume and a waiting list for our new patients. We are in a newly renovated 2800sf office with five treatment rooms. All treatments rooms have large windows that open with plenty of natural light. Our clinic has been fully mitigated for EMFs and features three NDs, a Resident ND, an LAc, a Medical Assistant, full-time front desk staff, an insurance billing specialist and an IV therapy department. We also have several ancillary diagnostic and therapeutic modalities to aid in the assessment and treatment of complex, chronically ill patients. Are you someone who wants to take part in working alongside patients to achieve massive shifts in their healing journey? Are you someone who is interested in being part of an organization making ripples of change in the lives of patients seeking our assistance? An amazing opportunity for an ND associate wanted for an extremely unique Integrative Naturopathic Clinic. Exciting opportunity to join a clinic that’s established its roots in the exciting Brentwood area over the last 17 years. We’ve grown from 2 practitioners to 8 and offer multidisciplinary services including: Naturopathic medicine, Chiropractic, Acupuncture, Massage therapy and Physiotherapy. Naturopathic Doctor wanted to join integrated health center in Boston. Applicants must be motivated self-starters, interested in working within a collaborative setting, and dedicated to excellent patient care. Welcome to Dr. Lu’s Nourishing Life practice! We are a fast growing Traditional Chinese Medicine clinic located in Ann Arbor, Michigan. We are seeking an outstanding, passionate and skilled acupuncturist to join our team. Immediate opening available, newly licensed acupuncture graduates should feel welcome to apply! Beautiful location with an established patient base. Wellness based benefits provided. This is a fantastic opportunity to join a well-established group practice and begin to nourish your professional and personal wellbeing!